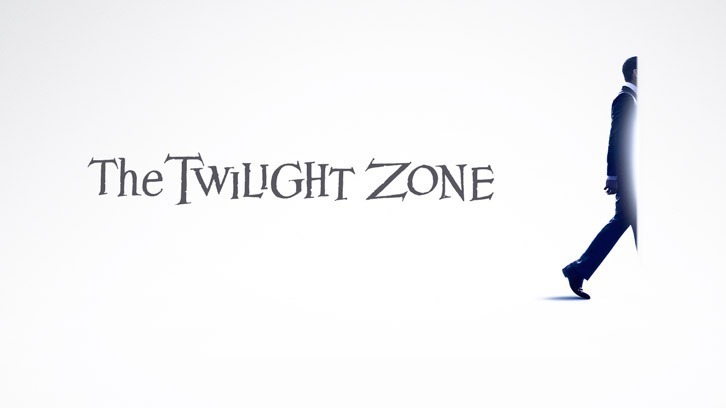 Jordan Peele's incarnation of the Rod Serling's The Twilight Zone premiered on CBS All Access on April Fool's Day. I watched episode 2 first, by mistake, so I'll review episode 1 next. I am a die-hard Serling/Twilight Zone/Night Gallery fan, even paying homage to his hometown of Binghamton, NY every year since I was ten; having originally begged my parents for the 2 hour road trip back in 1978. So, I went into this with a bit of skepticism. Though with Peele at the helm, I had a great deal of hope. People have tried and failed three times including the 1983 movie version to bring the Twilight Zone back to life with little success. But not this time! Peele's resuscitation of The TZ is wonderful; full of superb writing, acting, lighting, imaginative camera angles and seemingly aware of the greatness that came before and paying respect to it. Adam Scott's portrayal of Justin Sanderson is a terrifying new take on the original William Shatner portrayal. A stunning portrait of a man recovering from a nervous breakdown/PTSD and slowly circling the drain back into that hole from which there will be no return. Each time Justin gazed out of the plane's window I expected to see the grotesque gremlin that had terrorized Shatner's character at 20,000 feet in 1963. John Lithgow also had a stunning turn as the disturbed protagonist in the 1983 movie. It was the most exceptional part of that entire, deeply troubled production. This episode is a modern take on the original with our on-the-edge, investigative journalist Justin finding an MP3 player on his flight from Washington Dulles to Tel Aviv. He's ignored his wife's pleas to stay home and rest. On the mysterious MP3 player is a podcast, Enigmatique, which lays out the doomed destiny of flight 1015; which departs at 10:15 pm on 10/15. The podcast taunts our protagonist as it plays out on tape as it plays out in real time. Justin spends the next 26 minutes trying to right the wrong that is the doomed flight 1015. In pursuit of this he harasses, annoys and angers just about every person on the plane. The only 'friend' who will listen to his outrageous ravings is Joe Beaumont, a disillusioned former pilot who is drinking excessively before the plane even lifts off. Justin and Joe conspire to take over the plane and it is only as Joe is flying the plane into the ground that Justin realizes that he's made a big mistake, duh. Like letting the angry, drunk ex-pilot take over the controls was ever a good idea? Miraculously, everyone on flight 1015 survives after crashing onto a deserted island, everyone except Justin. After awakening on the beach with a mini plush of the original 1963 gremlin floating in his eyeline (great Easter egg), the passengers and crew commence to beating him to death. Mr. Peele's portrayal of our host/guide into the Twilight Zone is spot on, spiffy black suit, ominous recitations and semi explanations so reminiscent of The TZ's creator. As I finish writing this I have watched episode 1 titled The Comedian. Let's just say in life you have hits and you have misses. 'Nightmare' is a hit and 'Comedian' is a definite miss. But I believe that Peele and his team are on the right track to living up to Rod Serling's stellar legacy.